Printable heavyweight, white card stock. Sheets feed automatically from paper tray. Ultra-fine perforations allow cards to be separated cleanly and easily. Avery offers many easy-to-use design and print solutions for cards. See product package for details. Printable heavyweight card stock sheets feed automatically from paper tray. 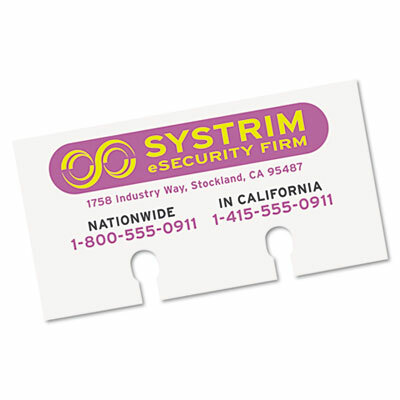 Plus, the thick card stock delivers a professional appearance and stands up to frequent use in card files. Ultra-fine perforations allow cards to be separated cleanly and easily. Avery offers many easy-to-use design and print solutions for cards. Convenient, do-it-yourself customization means you can make changes and print new cards with ease. See product package for details. Microsoft® Gold Certified Partner.